Southeast Pools, in ChampionsGate, FL, is the professional choice for home and residential swimming pool maintenance and services. We have dedicated and knowledgeable home pool experts that provide expert pool cleaning, preventative maintenance and winteriztion, and treatment services and plans for swimming pools throughout the South Florida area. Contact Southeast Pools for one-time or ongoing residential swimming pool maintenance and service in ChampionsGate, Reunion, South Orlando, Celebration, Kissimmee, Montverde, Clermont, Auburndale, Davenport, and beyond. The home pool experts from Southeast Pools understand that keeping your pool in great shape requires more than just cleaning. Our services are the ones you can count on to perform all needed chemical balancing, filter cleaning & replacement, and all the other individual tasks needed to add up to a healthy and clean pool. Even more, if ever a technician notices a problem during routine maintenance & cleaning services, we are right there to let you know and offer solutions. Southeast Pools is the company that takes ride in residential pool maintenance, cleaning, and other home pool services. The technicians at Southeast Pools provide custom work and service plans for every residential swimming pool in ChampionsGate. We work closely with each customer, and provide an accurate description and quote for each job we perform ahead of time, so you never have to worry about sticker shock after the fact. We employ only the most trustworthy pool technicians, each uniformed and fully insured. Our goal is to ensure a clean, fully functioning, chemically balanced home pool for every customer. When you choose Southeast Pools to maintain and clean your home swimming pool in Florida, you’ll be able to Swim Easy, since we’re taking care of the chores. Our technicians know that each pool is different, so we meet with you prior to giving a quote. 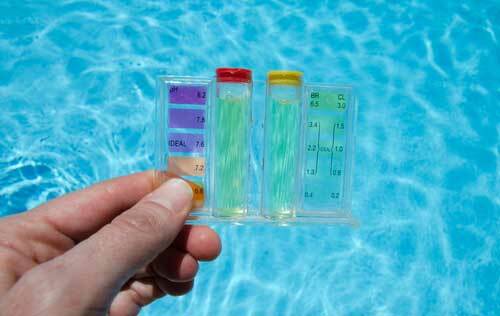 A tech from Southeast Pools will visit your home pool, determine the services needed, and THEN provide a quote. This enables us to get an accurate idea of what is needed, so we can give an accurate quote. ChampionsGate, Davenport, Clermont, Kissimmee, South Orlando, or any of the nearby areas, give Southeast Pools a call at 407-507-2570. We are here for all your home swimming pool needs. “Swim Easy” and have Southeast Pools take care of all your home pool cleaning, maintenance, and services.